Nothing like an old, wrinkly, deflated killer robot. Today, Arnold Schwarzenegger confirms that he will return to play The Terminator in the upcoming sequel T5. 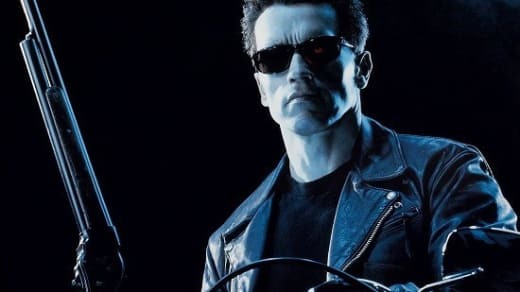 While the film has been in the works for a while, it was long assumed that should Schwarzenegger sign on, he would play a human character with the whole franchise being rebooted. It looks as though that will not be the case, however. Laeta Kalogridis and Patrick Lussier are providing the screenplay, with a director still up in the air. Justin Lin was previously attached, but left due to scheduling conflicts with Fast and Furious 6 (perhaps he could return?). For his part, the 65 year-old action star also claims to be working on another Conan the Barbarian movie, as well as a sequel to Twins.